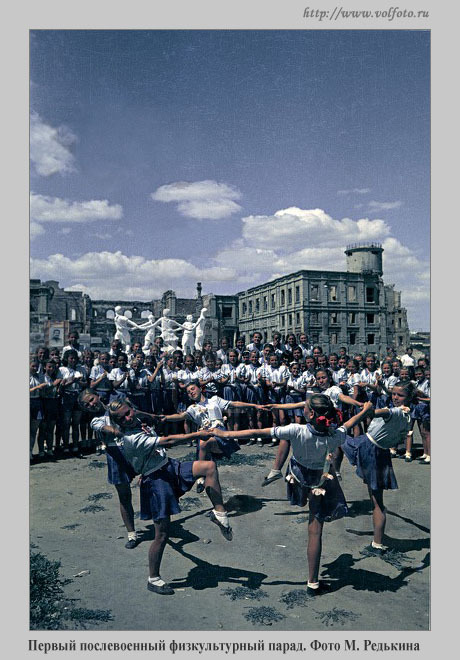 This shot was one of the most famous shots made by Russian photographers during World War 2. 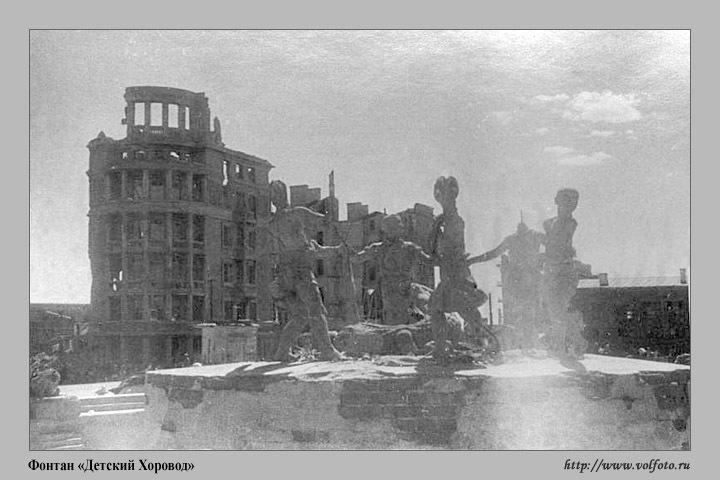 It was made in the ruins of Stalingrad city – the place where the most heavy city battles took place. 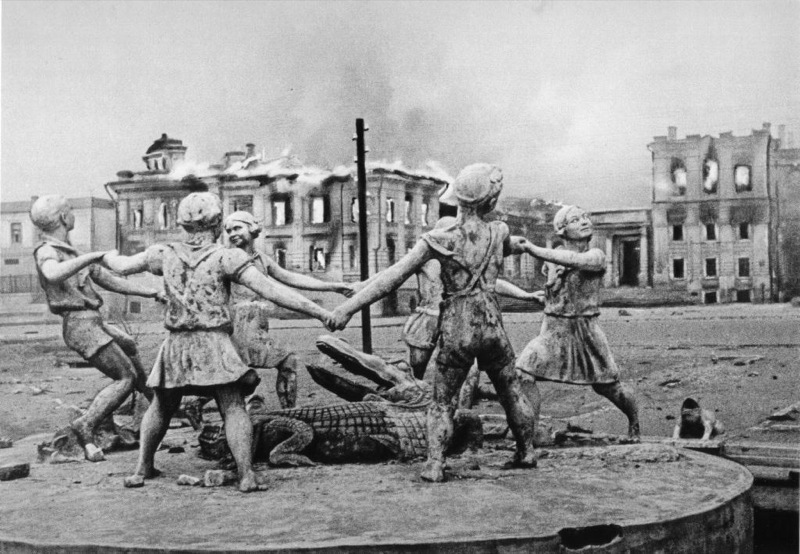 Some historians say that after those battles near Staliningrad the Nazi invasion of Russia broke down. 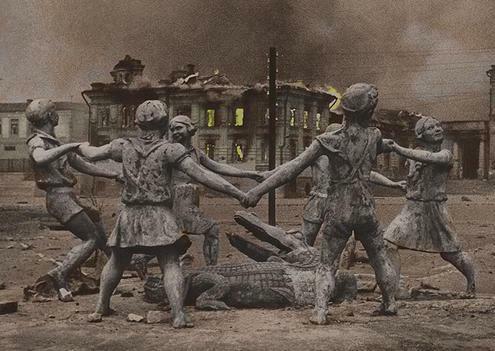 The monument itself depicts Russian children dancing around a crocodile, looking so unreal with the traces of bullets on the sculptures and the burning ruins on the background. 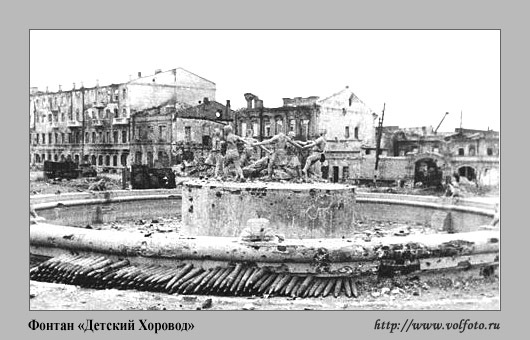 Later, after the war the monument was rebuilt, even earlier than surrounding buildings. Miss India (Boris Abramov) is on vacation. I personally believe that you are wrong. They say – 6.000.000 Hebrews tried to surrender, but that didn’t help. 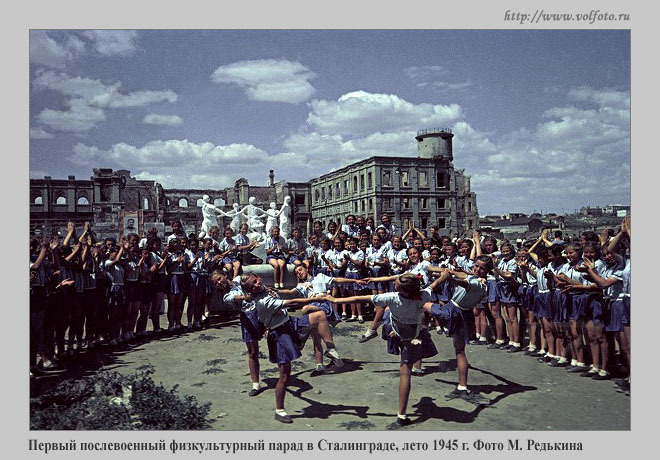 They say – more than 20.000.000 Soviet sitizens were killed in WWII, but only about 6.500.000 of them were soldiers. I personally believe cows make for lovely barbeques. Would have been if they had used actors with Russian/German accents. Rachel Weisz the mummy was ok (seriously I would go gay for her). Ed Harris? You a German can you speak german, instead of that god awful USA twang? The best war movie is ‘Stalingrad’, 1993. Nothing more poiant when the German solider collapses and says ‘comrade, shot me’. I also think Tanya and Vasily should have been together at the end of the war and had babies together. 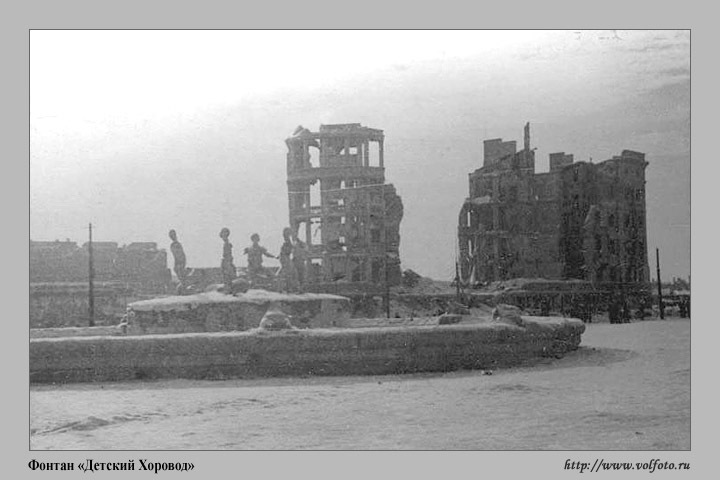 which city in Russia is Stalingrad again? is there a list of name changes? My favorite city in Russia. Very beautiful city. One can’t believe that just decades ago it laid in ruins. There is still a lot of evidence of that war there. I will put it on my list of towns to visit when I finally make it to Russia. I get so confused sometimes. 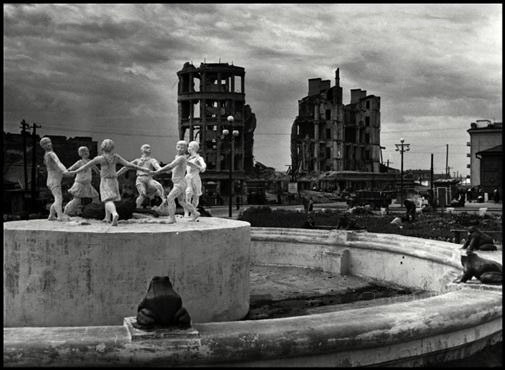 Its a beautiful monument but why are the children dancing around a crocodile? What is its meaning? Name of the monument took place on the allegory of story-poem «Barmalei» Korney Chukovsky. While Barmalei tortured with fire, the doctor asked Ajbolit gorillas bring a crocodile to swallow Barmaleya – then Barmalei will not be able to do more harm to children. The crocodile did it, but Barmalei was later released after he promised to change. Barmalei became nice and promised that more would be good, will give children sweetie, and that he will love children. BTW, Zajcev was not the top-scoring Soviet sniper and it seems it is questionable whether there was a person like (major?) Koenig. Pop-culture hardly ever has anything to do with the history, no matter if it is a Soviet textbook story or its Hollywoodized version. I remember an interview in a German documentary with supposedly the best sniper of the battle of Stalingrad, known under the nickname “Cikan” (“Zikan” in German transcription, i.e. “Gypsy”). He was a non-Russian with distinctively Mongolian features. Captain Vasily Grigorevich Zaytsev (or Zaitsev) (Russian: Василий Григорьевич Зайцев, pronounced [vʌˈsʲilʲɪj grʲɪˈgorʲjevʲɪtɕ ˈzajtsɨf]) (March 23, 1915–December 15, 1991) was a Soviet sniper during World War II, notable particularly for his activities between November 10 and December 17, 1942 during the Battle of Stalingrad. He killed 225 soldiers and officers of the Wehrmacht and other Axis armies, including 11 enemy snipers. Prior to November 10, he had already killed 32 Axis soldiers with the standard-issue Mosin-Nagant rifle. Between October 1942 and January 1943, Zaytsev had made 242 verified kills, but the real number may be much higher; some argue it might have been as many as 500. His military rank at the time was Junior Lieutenant. Miss. India…be quiet please. Thanks. Great i first saw it in a computer game called Commandos 3 then in some movies its something historic i want to see it someday. Ring around the rosie pocket full of posie…. You have been to Ekaterinburg Russia Jason? Hello Jerika,I have not heard from you in a while. I have been there 2 times.My wife is form that city. Yes Jason,I grew up there.I do not post comments often,this is new to me. So what do you think about Ekaterinburg? Well it is different than america. Parts of it is nice but it is a old city. Really? Wow, didn’t know that. Please, go on! Peace is best for all. erm, it looks like this. I was searching for photography when I found your site. Good post. Thank You. I never realised there was a crocodile in the middle of the kids! That adds a surreal element to it. I like your website – super work!